we have a fully trained first aid team who are able to execute basic medical procedures including resuscitation. Basic evacution equipment including stretchers are available. The local hospital is 10 minutes from Camp JJ and 4 hours from the Base Camp. Local guides/rangers and potters are in plentiful and can be organized by the Company based on the need. General, a porter is required for each climber for the four hours walk to the base camp and return. A Guide is generally required for every two to three person. Persons who are not sure about their fitness are advised to hire a guide for them self. Local guides and potters are in plentiful and can be organized by the Company based on the need. General, a porter is required for each climber for the four hours walk to the base camp and return. A Guide is generally required for every two to three person. Persons who are not sure about their fitness are advised to hire a guide for them self. 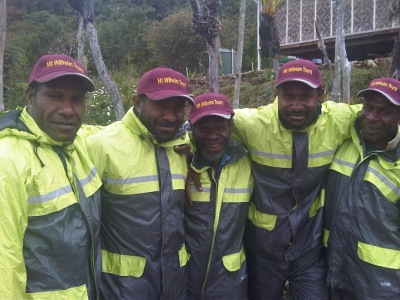 We have a dedicated team in Port Moresby who receive visitors coming from overseas and cordinator all bookings to other destinations in PNG including, Mt Wilhelm. 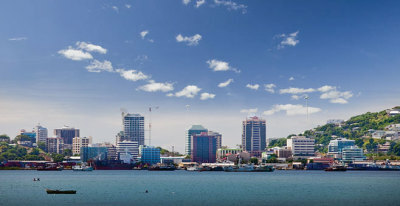 At the moment, Port Moresby serves as the major point of entry for all visitor to Papua New.